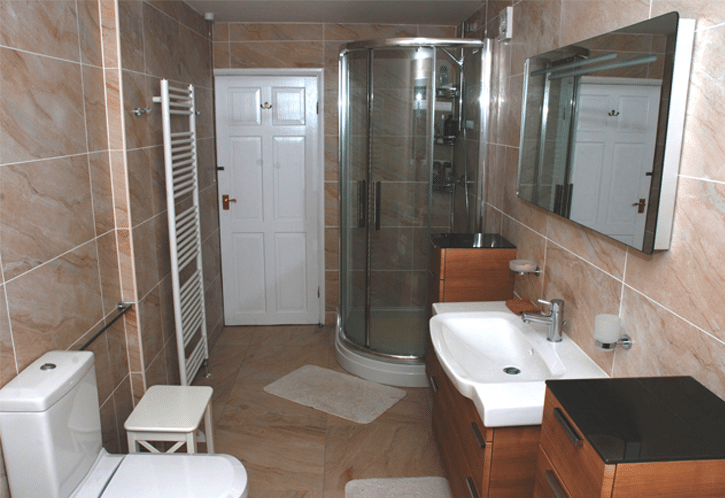 At Alan Heath and Sons we offer you the full bathroom renovation service. 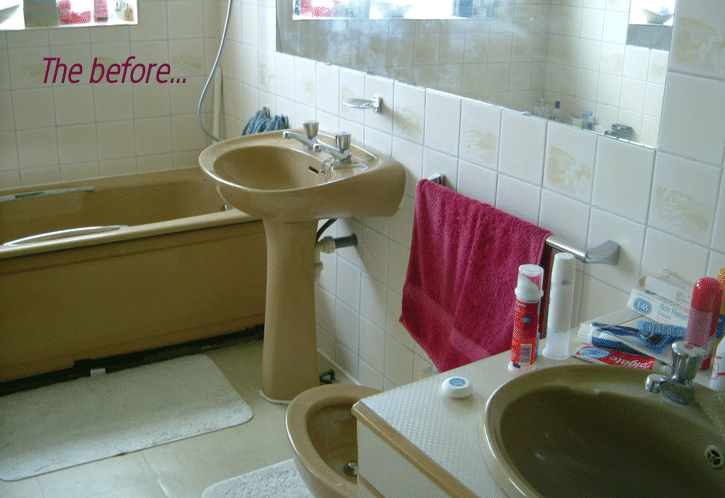 We take out your old, dated bathroom and create your new designer bathroom from start to finish. 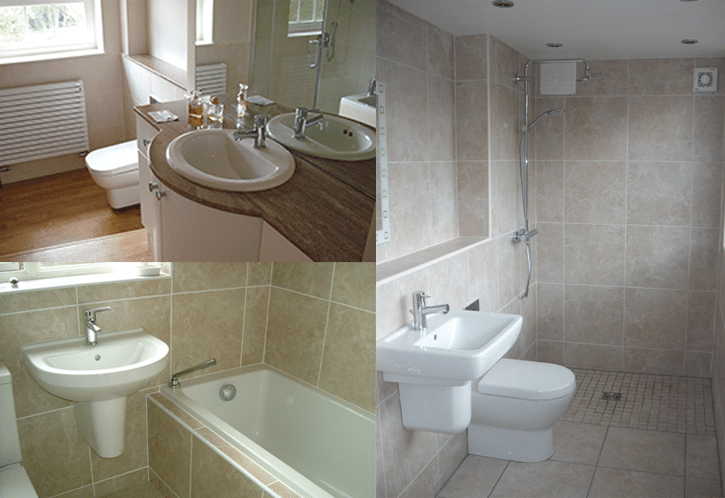 The ‘after’ images above illustrate how you can create light and space in a once dark and dated bathroom. We love the look on our customers’ faces when they see the finished bathroom, and they’re as pleased as we are to have them on our website. We do everything in your bathroom! The installation of a new bathroom can be the most difficult part of any home renovation project. Trying to project manage between different tradesman and ensuring everything is fitted at the right time and by the right people is often a stressful job. If you’re employing a builder to undertake all the work and fit your bathroom you can never be sure they know the products as well as we do. How will you know if they know the best way to install them… and in which order? From conception to completion we provide expertise with four decades of knowledge and passion. We only use our own installers because we trust them to ensure a professional finish. Choosing us for the complete makeover guarantees that all the high-quality items you have purchased from us are installed correctly and with care. With us, you can guarantee a high quality service. All trades can be covered in-house by us. This includes plumbing, plastering, carpentry, tiling or electrics – including the necessary certification. Should walls need moving, building or altering, it can all be taken care of by our team of experts. We’re a clean team too! All rubbish from your renovation is removed and we leave your home the way we found it (apart from with a stunning new bathroom!). We care about your rubbish too. If we use skips we only use the companies who can recycle the recyclable waste, and we even recycle the cardboard from the newly-installed products. We’re fully licensed to dispose of your waste. 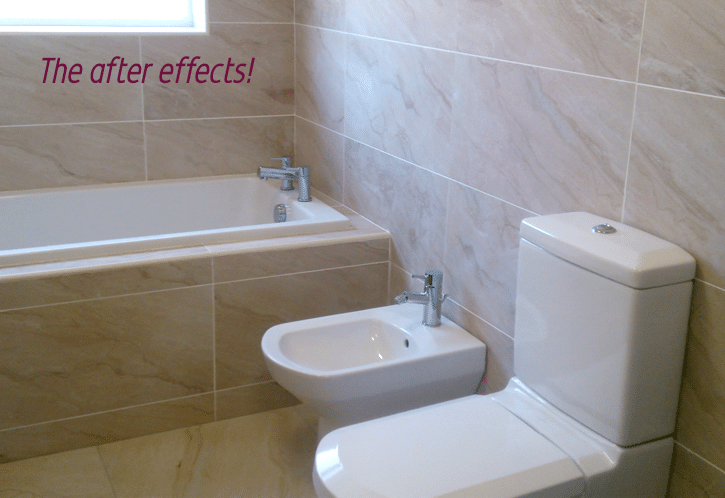 If your bathroom is looking tired and in need of a drastic overhaul come and see us in our showroom or give us a call. We’ve been turning tired old bathrooms into luxury designer spaces for over 40 years and we’re certain we can help you too. All of our work is fully covered by our FULL PUBLIC LIABILITY INSURANCE should the unspeakable ever happen. Need some inspiration? Download our FREE guide to planning a bathroom. Removal and disposal of the old suite. Removal and disposal of the existing wall and floor tiles. Plastering of the walls and ceiling. Installation of the new bathroom suite including Installation of baths whether normal, whirlpool or Spa, shower cubicles whether normal, power or steam cubicles and wet rooms. Tiling of walls and floors. Electrics - Electric- Lights, Shaver sockets, fans, illuminated steam free mirrors or cabinets etc. including certification. Walls removed or constructed including doorways.